Count on Gettysburg Solar LLC., your solar panel installation company McSherrystown PA, to evaluate your home and install your new renewable energy system without hassle! 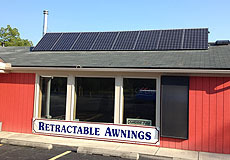 Be sure to browse our installation gallery to see the quality work we can do for you, or contact us today with any questions you have about solar energy, or our products and services. 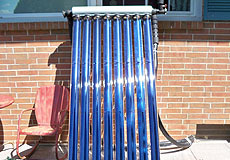 What can solar power installation McSherrystown PA do for you? 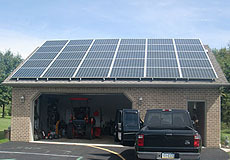 Take advantage of residential solar power installation McSherrystown PA! 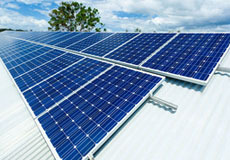 Take advantage of renewable energy installation company McSherrystown PA for your business! When you call on Gettysburg Solar LLC., your solar panel installation company McSherrystown PA, we will work with you closely until the completion of the installation to ensure that everything is done to your satisfaction and you get the best out of your system. If you need to finance your solar panel installation company McSherrystown PA purchase, the most cost-effective way to do it is to use a home equity loan or a home equity line of credit. Because your house serves as collateral, these options have low interest rates (currently about 3 to 5 percent). The interest you pay is tax deductible. Equity loans range from 5 to 20 years and usually have fixed interest rates. Equity lines last 10 years and have variable rates (so the interest may increase).